A number of fun outdoor activities can be enjoyed in South Korea, such as windsurfing on the Hangang River or hiking in the mountainous regions. If you want to take part in outdoor activities but want to avoid renting equipment when you are there, you can use the services of Send My Bag to ship your own equipment to South Korea. If you are enjoying a city break or an activity vacation in South Korea, or if you are moving there permanently, you can save yourself a lot of stress by sending your possessions with Send My Bag. Your possessions will be looked after for you, allowing you to get on with exploring your new environment. Send My Bag will pick up your bags at home and deliver them to your final destination in South Korea. You can send as much as 66 lbs per bag, which means that you can bring all your home comforts with you to help you set up home abroad or to fully enjoy your vacation. To find out more about sending luggage to South Korea, visit our ‘How it works’ page, or our ‘FAQs’. Cycling is becoming more popular in South Korea, with the government running a scheme to get Koreans cycling. There are 1,091 miles of river cycle paths, alone, making South Korean a happy prospect for cyclers. Why not ship your bike to South Korea with Send My bag and enjoy the South Korean scenery from the comfort of your own bike. By sending your bike you can avoid exceptional baggage fees from your airline and save yourself the hassle of carrying a heavy bike to and from the airport. To find out more about shipping your bike, read our bike shipping page, where you can learn how to best package your bike for safe transport. You may not be aware, but South Korea has numerous ski resorts. In fact, the country will be host to the Winter Olympics in 2018. Some of the best resorts include Yongpyong Resort, Phoenix Park and Vivaldi Park. Why not try South Korea for your next ski vacation and send your skis ahead to South Korea so that you don’t have to rent any equipment when you are there. Read more on ski shipping here and discover how best to package your skis for transit. 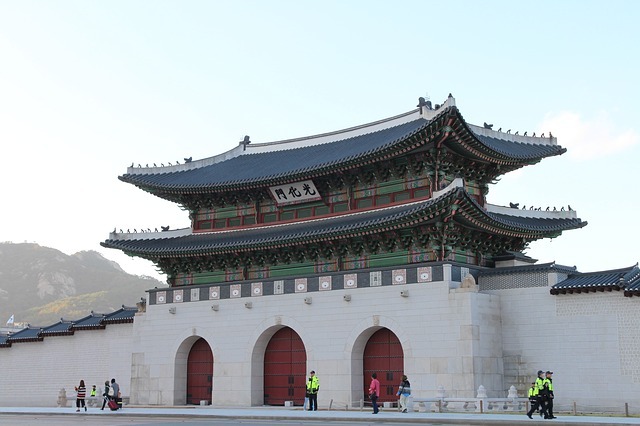 South Korea is a popular destination for international students, with top universities such as Seoul National University, Korea Advanced Institute of Science & Technology and Pohang University of Science and Technology. If you want to study in South Korea you can easily send your possessions with Send My Bag, which allows you to bring so much more than you could check into an airplane hold – so all the books, writing materials and clothes you might need. Find out more about student shipping and how to receive your student discount by visiting our student removals page.